Developed marketing plan and launched the opening of this start-up nonprofit group in D.C. with the mission to help veterans find jobs. Developed corporate identification, website, marketing collateral, and social/digital media programs. Oversight of graphics and video. Ongoing public relations, article writing, events consultation, and fundraising assistance. Real Estate Careers for the Armed Forces website. 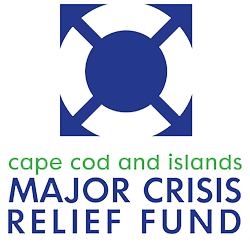 Gary Woonteiler serves as the pro bono Marketing/Public Relations Director of the Cape Cod and Islands Major Crisis Relief Fund (MCRF), managed by the Cape Cod Times Needy Fund. Established in 2016, MCRF is a nonprofit organization that provides humanitarian aid following disasters. Woonteiler Ink provided strategic marketing direction, created MCRF’s website, orchestrated the press launch, and consulted on social media, collateral, and fundraising. Major Crisis Relief Fund website. For this longtime client, we developed and expanded The Boston Home’s marketing program to promote the leadership position of this Dorchester long-term care residence for adults with advanced MS and other progressive neurological diseases. Efforts have included website development, special events (including 125th-anniversary gala), public relations, newsletters, print collateral, and video production. Established partnership with Biogen. Major coverage in Boston Globe, national trades, and metro TV and radio stations. Marketing and fund-raising campaign involved direct mail program, special events, sponsorship with New England Patriots, publicity, and presentation collateral. Corporate sponsorships. Marketing program involved website redesign, social media, new collateral, special events, corporate sponsorships, media relations. Created branding and corporate identity, including brochures and launching of website for this research organization chartered by Partners Healthcare in Boston. Publicity of CITL’s major studies resulted in significant coverage, including the Wall Street Journal, New York Times, and dozens of national trade publications. Trade show coordination and liaison with HIMSS and Partners. Consultation on special events, corporate sponsorships, and segmented marketing program. National award-winning print advertising campaign. Pro bono committee member consultation for strategy and execution. Testimonial from retired President & CEO, Rich Brothers. Long-time pro bono work. Award-winning campaigns. Received distinguished service award. Ongoing pro bono work, including presentations. Received public service award. Planned and implemented marketing program, including major fund-raiser/recognition honoring local heroes at 911 Ground Zero. Newsletter, collateral, and front-page news and commentary. Issues management. Worked closely with Cardinal Law and Peter Lynch in planning and promoting Inner-City Scholarship Campaign, including major special events (invitations, scripting, press conferences and coverage). Also video campaign and supporting collateral, PSAs, op-eds, newsletter. Major educational campaign to promote car seat safety sponsored by my client Executive Auto Glass. Also coordinated sponsorship with Boston Bruins. Significant media coverage in print, radio, TV. Advertising and collateral consultation. Cause-related program organized for my client Standard Duplicating Machines Corporation. Promotional kit, ads, articles. Involved Standard’s dealers with trade show tie-ins. Events and promotions on behalf of my client Fabric Place. Ongoing pro bono support. Marketing program highlighted by scores of case study article placements. Special events with Boston Pops, newsletter, media relations.